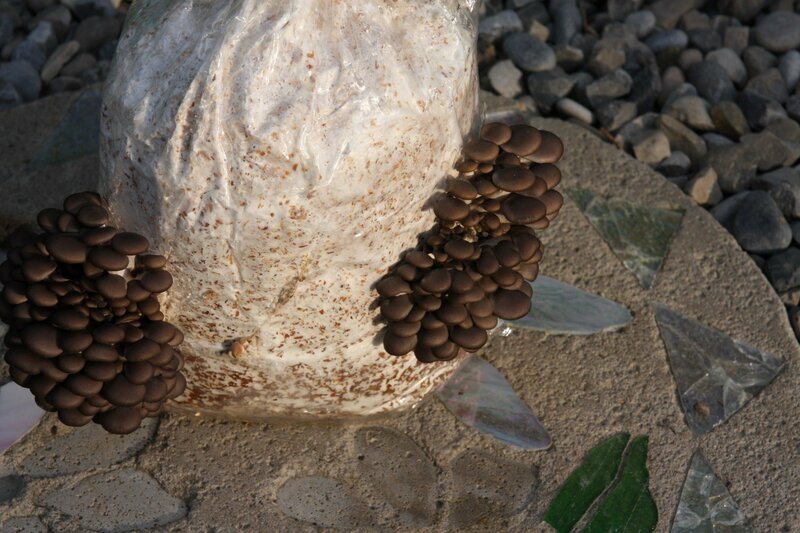 Like other oyster mushrooms, blues are among the fastest fruiting mushrooms out there and when conditions are right clusters can double in size within a day or two! As the name suggests, their main distinguishing characteristic from other members of the genus is their striking blue colour which starts of as a deep blue during pinning and turning to a smoky grey as the mushroom matures. These mushrooms can be easily grown inside but are particularly well suited to outdoor cultivation as they require a high level of fresh air exchange. However, like other members of the oyster family they are very prone to insect infestations including gnats and beetles so depending on your site, you may need to keep an eye on them and harvest relatively quickly after they start to fruit. Caution: when growing outside can be prone to insect infestation which can reduce quality and shelf life.